World Learning alumni are inspiring, passionate and innovative individuals committed to creating positive change in the world. Together they form a community of global leaders. To engage alumni and support their growth as thought leaders, World Learning has created the Advancing Leaders Fellowship program. The Advancing Leaders Fellowship program recognizes the ideas, talent, and vision of World Learning alumni by providing comprehensive training in social innovation, project management and leadership; and by supporting selected high-achieving fellows with grants and a network of mentors and peers so that fellows can implement an original social innovation project in their home communities. 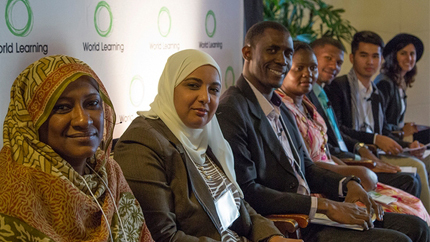 World Learning is pleased to announce the seven fellows of the 2015 Advancing Leaders Fellowship program. The fellows will each receive a grant of up to $5,000 to implement a social innovation project in their community. This summer, a total of 44 World Learning alumni participated in a virtual training course on social innovation and project management. Of those, 32 submitted project proposals for grants on topics including youth empowerment, public health, English education, social justice, and disaster relief. Two International Exchange Alumni received fellowships: International Visitor Leadership Program alumna Omkolthoum Abdel Mogheith and Global Undergraduate Exchange Program alumnus Ping Ann Oung. Omkolthoum has over ten years of experience in the governmental healthcare sector in Cairo, Egypt. She has a master’s degree in public policy from the American University in Cairo, a master's degree in business administration from the Arab Academy for Science, Technology, and Maritime Transportation, and a bachelor's degree in Pharmaceutical Sciences from Ain Shams University. 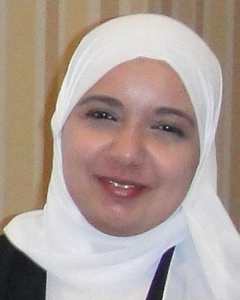 While working as a senior officer in the Technical Office for the Minister of Health and Population in Egypt, she helped improve the health reform process within the healthcare sector in Egypt. Through these experiences, she developed diverse experience in health economics, strategic planning, monitoring and evaluation, and health diplomacy. Omkolthoum’s work focuses on the topics of rights for vulnerable groups and health policy, and she has a strong passion for women’s empowerment. The goal of Reaching You is to use technology to develop the skills and performance of healthcare medical providers in underserved areas in Egypt, and to improve the quality of healthcare services provided to the residents of Faiyum, Egypt. This model is distinguished from other telemedicine as it intends to create workforce multiplication, professional development, and maximizes the sharing of knowledge instead of merely providing a direct service. The project will adopt the model of the University of New Mexico’s ECHO Project. Ping Ann is currently a senior at the Department of Media and Communication at the Royal University of Phnom Penh, Cambodia. He is also a reporter and documentary film producer for National Television of Cambodia. 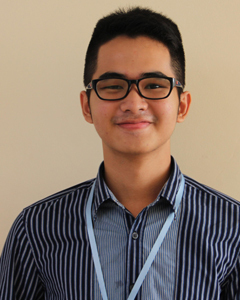 Earlier this year, Ping Ann was selected as one of the Global UGRAD students to study at California State University in Monterey Bay, where he took courses in media development, video production and communication. Media & Ethics is a media literacy program that uses documentary films and educational workshops to raise awareness and minimize the potential harm caused by unethical and manipulative content shown on television and social media. Topics such as online bullying, body image, gender inequality, and violence against women are some of the issues that will be covered in this project. The five documentary films created through this project will be broadcast on social media websites and National Television of Cambodia. After the five documentary films are produced with the consultation of senior journalists, five workshops featuring these films will be conducted in the provinces of Pursat, Battambong, Banteay Meanchey, Siem Reap and Sihanoukville. These workshops will reach 300 to 500 high school and university students. Note: originally published by World Learning.